Right Management’s career development Study, 2012, highlights that 75% of employees are unengaged at work and only 1 in 10 employees define workplace success as high performance. The same study also states that employers that provide career development opportunities are six times more likely to engage their employees than organizations that do not. So what takes priority for such employees? Balance, happiness or salaries? 35% of the employees today look out to exit their current organizations and the biggest motivators for leaving are work-life balance, higher compensation, better work culture and more challenges. 53% of leaders today expect respect for knowledge and experience and 59% of co-workers expect mutual trust at work. So how can the employers meet this demand? 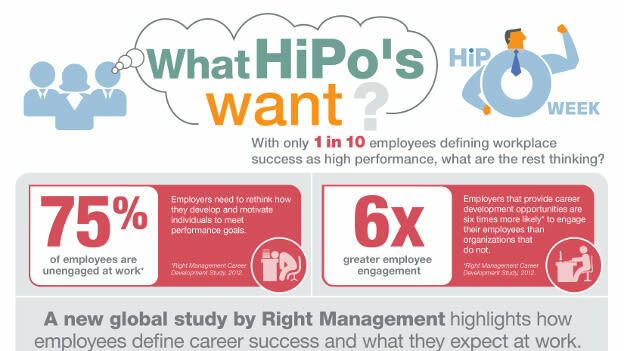 This can be done by identifying employees who defi­ne workplace success as high performance and offer them targeted development opportunities; create focus on career and start at the top by enabling leaders to have career conversations with their employees; and leverage ongoing assessments to identify skill gaps and adjacencies and provide employees access to the tools and experiences they need to develop new skills. NEXT STORY: The H-1B debate: Where to draw the line?